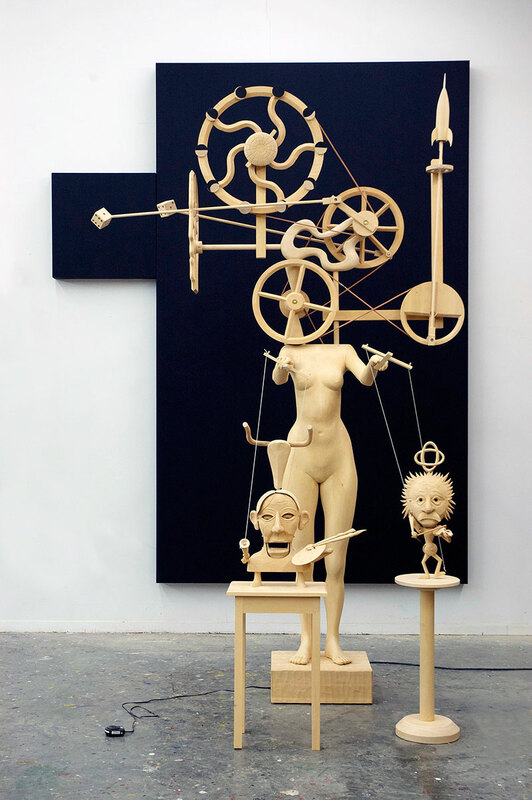 Kinetic sculptures by artist John Buck who is known for his carved wood and bronze sculptures and monumental woodblock prints. 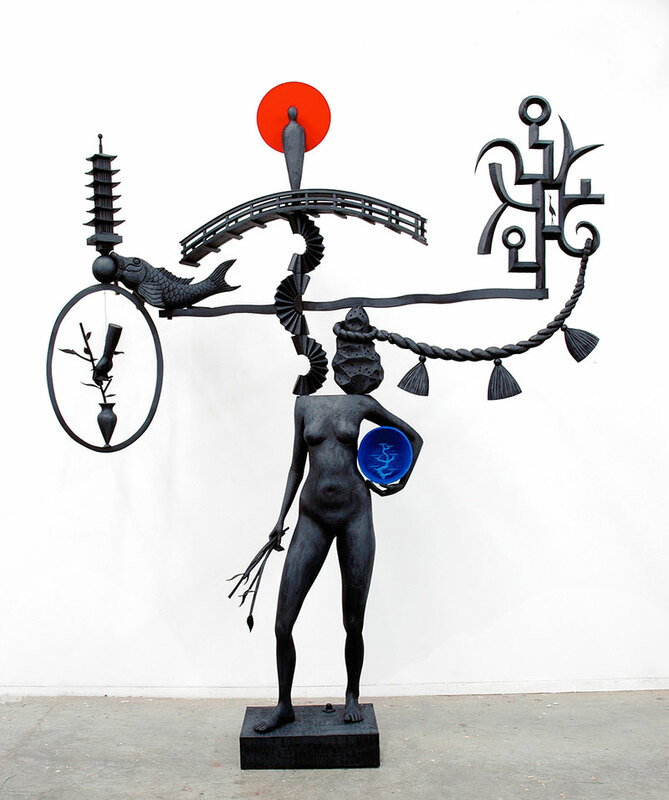 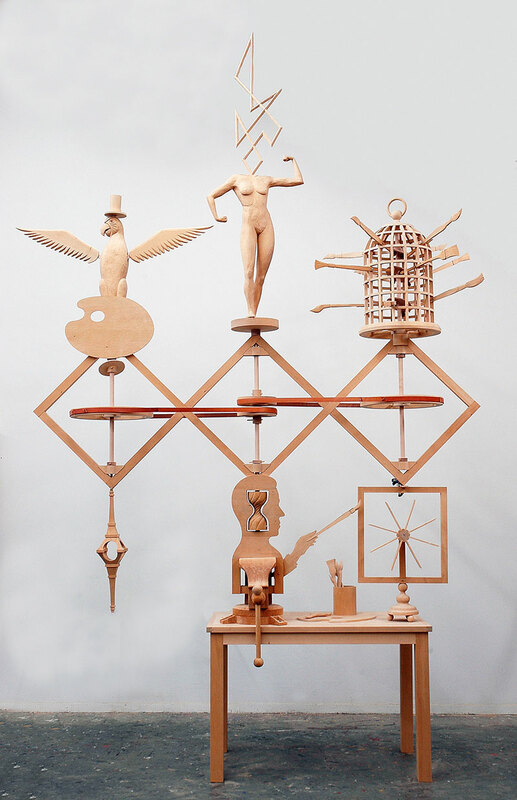 In recent years, he has turned his attention to creating more complex mechanical kinetic sculptures inspired by current events, popular culture, the irony inherent in world history and the cultural imagery surrounding his two homes (one in Bozeman, Montana, and the other on the Big Island of Hawaii). 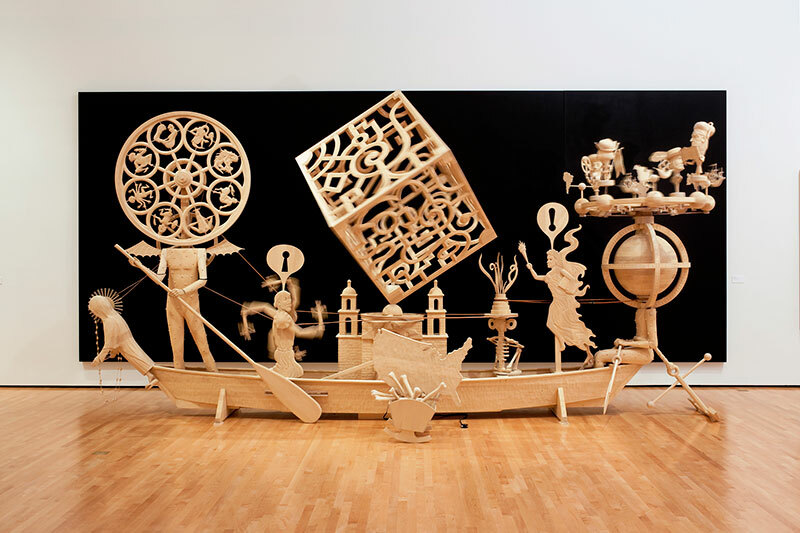 Fourteen of his giant, hand-carved creations are part of a new exhibition entitled Kinetic at KANEKO in Omaha, Nebraska currently on view until October 14. 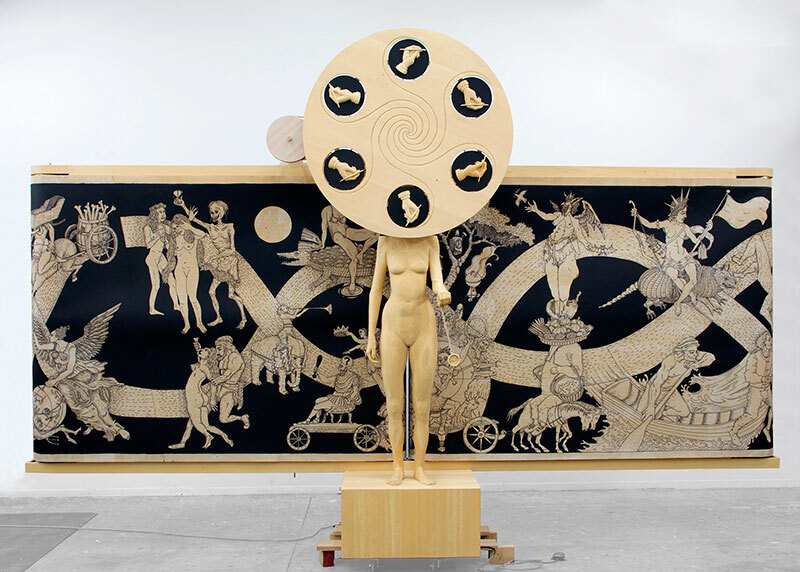 The exhibition contemplates the multitude of meaning we ascribe to the vast and ubiquitous concept of movement—the way our bodies, minds, and even the celestial body on which we reside exist in a perpetual state of motion. 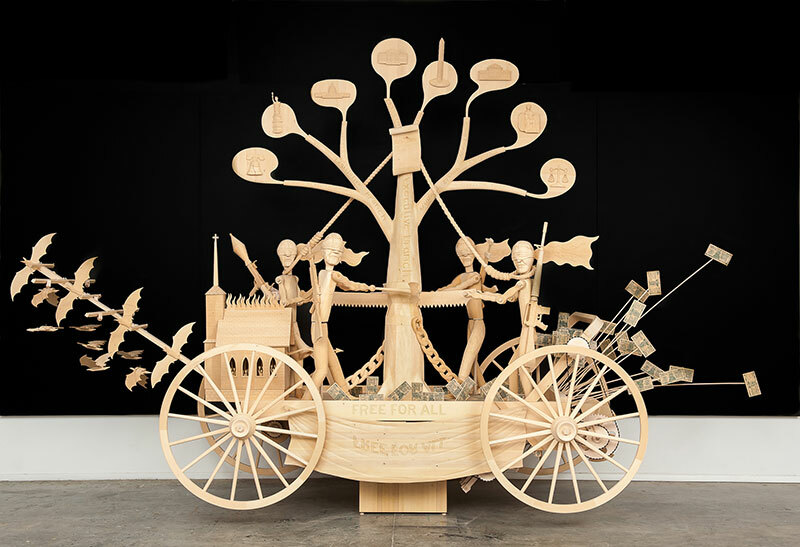 Kinetic sculptures by artist John Buck who is known for his carved wood and bronze sculptures and monumental woodblock prints.